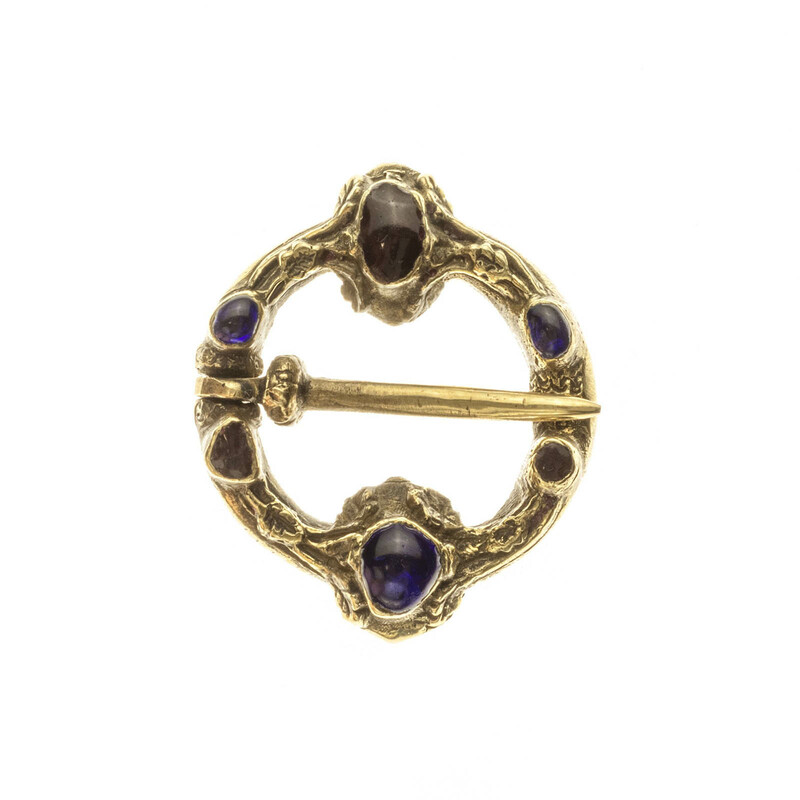 Medieval brooch with gems from Victoria and Albert Museum, 14c. 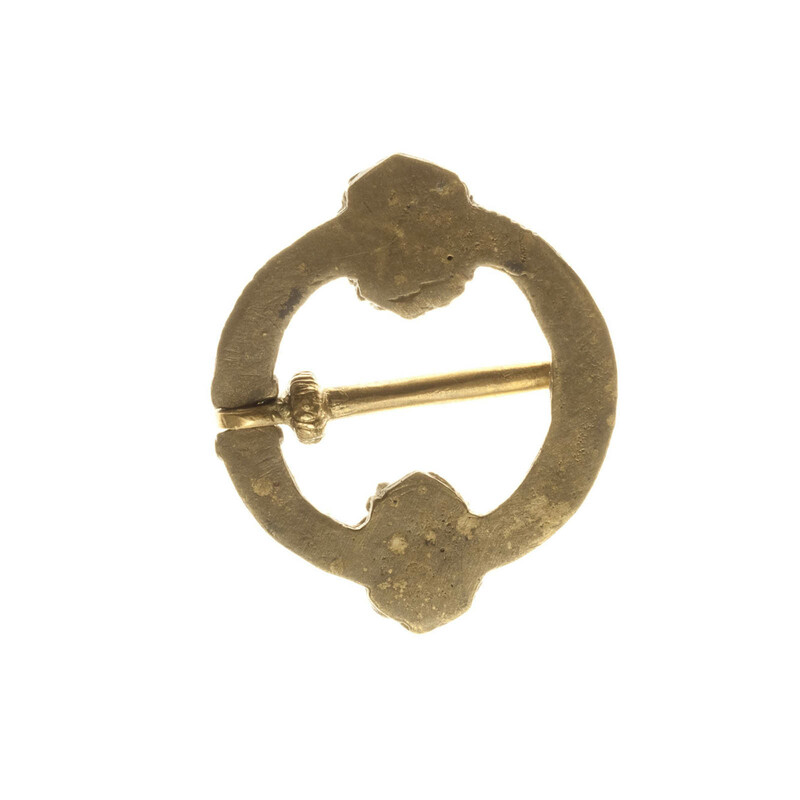 Early medieval viking disc brooch from Birka, 9th-10th century.It is with gold plating on photo. Diameter 5 cm ..